INDIANAPOLIS -- Change is in the air, and it smells a lot like pumpkin spice. That and the arrival of fall are two things that mean we must be getting into September. The weather outlook is in, and signs are pointing to the summer heat sticking around a while. The heat is something we had plenty of in August. More than half of the days in the month warmed above average. 6 of those were 90 degree days. The Climate Prediction Center says you may want to keep the shorts out a bit longer. 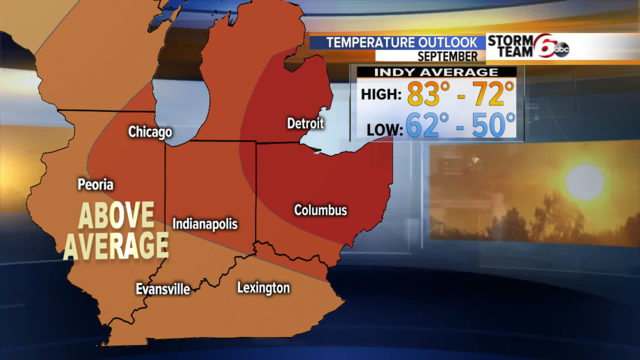 Above average temperatures are expected to win out in September. That includes another stretch of 90s to start off the month, as a ridge of high pressure allows the heat to build and keeps us mainly dry. When it comes to rain, we're in fairly good shape. 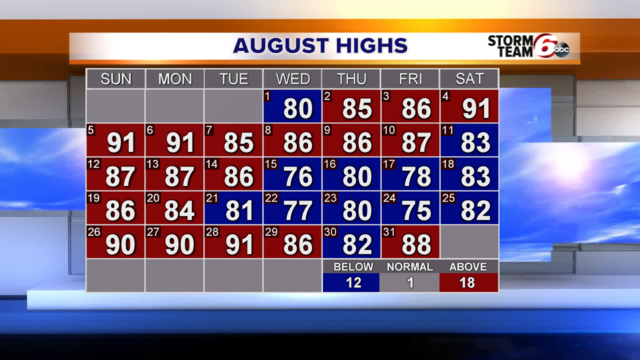 We ended August above average and we're within one inch of average for the year. 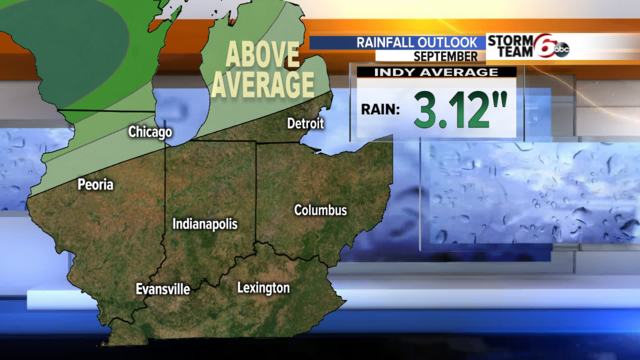 The outlook calls for equal chances of near, above or below average rainfall. While the month starts off with limited rain coverage, any downpours will bring locally heavy rainfall.